At first the data returned from LEISA showed only a surprisingly small amount of water ice across Pluto’s surface. But that was water ice in its pure form; when researchers took into consideration ice containing a mixture of water and other materials they found a much more widespread distribution across the surface area visible to New Horizons. 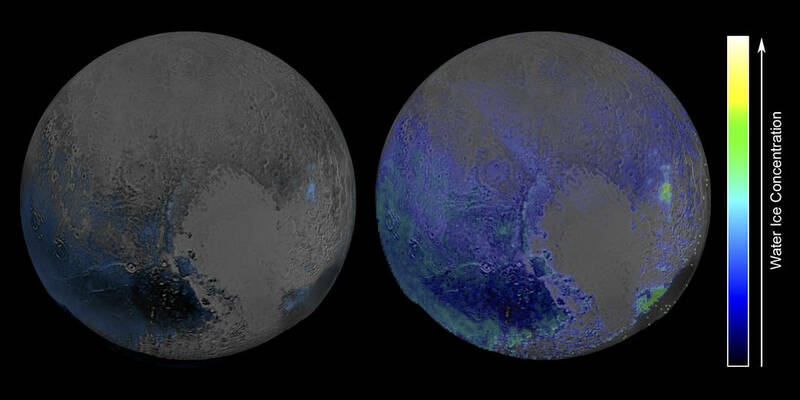 While the new models greatly expand the area that water ice — which is basically bedrock on the -380-degree-F Pluto — exists, they do continue to show a marked lack of water across the heart-shaped Sputnik Planum and into the northern polar areas (which are technically south, but that’s another story.) Those regions are coated with other materials — namely, nitrogen and methane ices that have either been deposited from the atmosphere or oozed up from below Pluto’s crust. 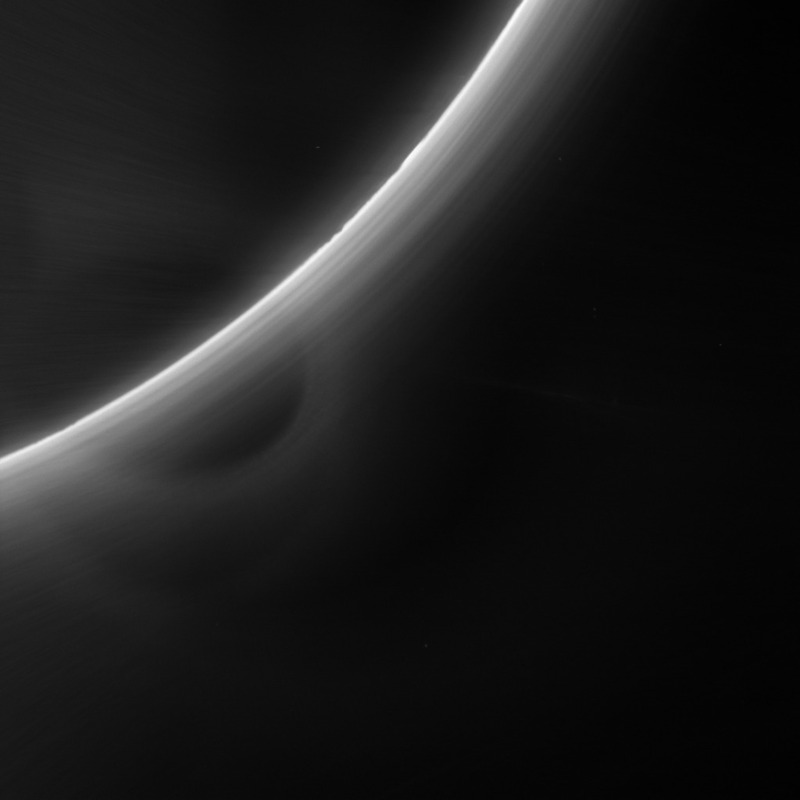 The revelations we’re getting from New Horizons as it trickles its data back are amazing. Also tantalising! By the time it’s all been received, I figure we’ll have revised not just the way we always saw Pluto, but also the ‘new’ picture that has emerged in the last few months. It’s been a tremendous expedition, and with those other KBO’s now in its sights, New Horizons’ discoveries ain’t over yet. Good stuff.